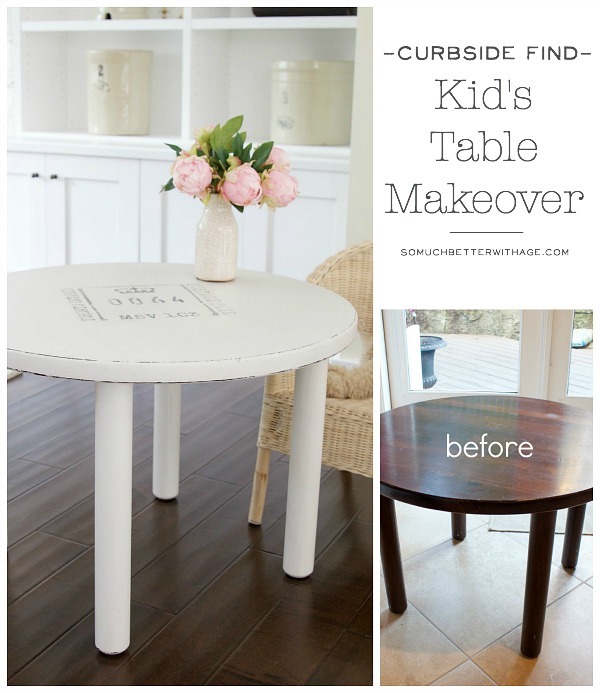 I found this solid wood table on the curbside and after my makeover it became a kid’s table. I found this little table curbside a couple of years ago. I think it’s a small coffee table but it makes the perfect kid’s table. My plan was to change the legs on it and then it just sat in my basement. Time to just paint it. This table is solid wood. Like SOLID wood. Really heavy. The stain on it was bad though. 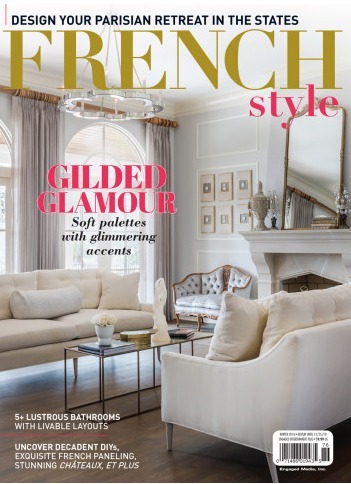 You know how much I looove my neutrals and this paint color is just perfect for me. It’s not quite white, not quite beige and not quite grey. It’s called Champlain from Fusion Mineral Paint. I met Jennylyn, the only owner of this paint line, back in the fall when we all went junkin’. She gave us girls loads of paint and I couldn’t wait to try it. I actually painted this table before Christmas and had it staged in front of my Christmas tree last year. I’m a sucker for all things vintage too. Check out this stencil from Fusion too. This mineral based paint goes on like butter! 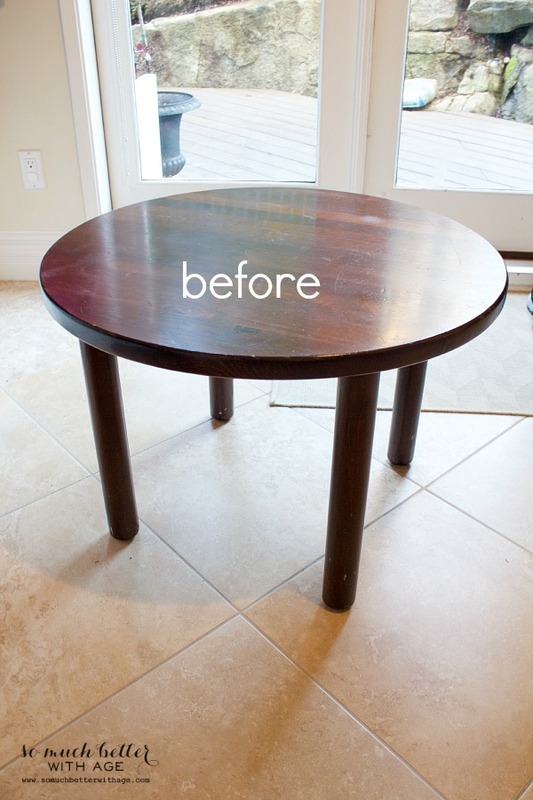 It’s so silky smooth and doesn’t need any prep like chalk paint. It’s also self-levelling. I only needed two coats on that dark table. 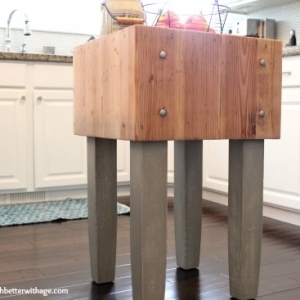 No top coat is necessary but the Bees Wax Finish makes for a beautiful smooth finish. Just buff on with a rag (I always use my old baby flannel sheets). 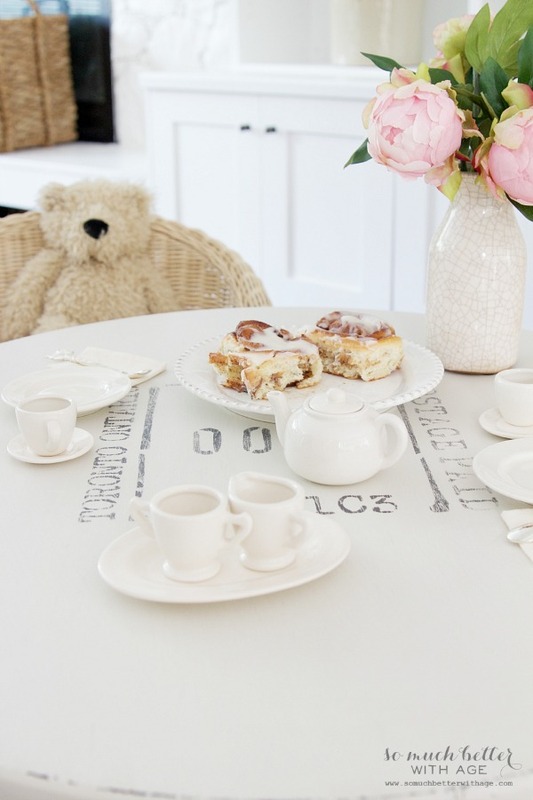 The table makes for one adorable little girl’s tea party. It also makes the best table for my daughter’s dollhouse*. Thanks April for giving me this idea! I now love this table and so do my kids. Disclosure: Thank you Fusion Mineral Paint for the paint. All opinions are 100% my own. Love it! I have a little table like this from when I was a child with 4 wonderful chairs…they are from the 1920s from an elementary school that my Nana worked at…when they re-did the classrooms in the 1960s she got them for free because they were being thrown away! Your table has inspired me to re-think this forgotten set! 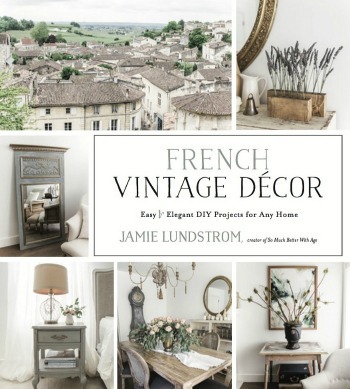 I have been looking for a coffee table but now realize this table would be perfect…as soon as I strip the 70s green paint off to let the old oak shine(on the chairs ) and paint the pine table like yours! Thanks for the trip down memory lane and the inspiration! What a great story, Amy. Thanks for sharing! Love the table girl!! So cute and looks alot better!! Great job!! It’s amazing how the “just do it” projects end up being favorites! The stenciled detail is adorable and the color is gorgeous! What a great find! I absolutely love that you found this on the curb. Lol. That color is perfect too. Thanks for the inspiration Jamie, I’ve got an old peice or two that a treatment like this would look amazing on. 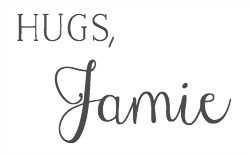 This is so cute, Jamie! 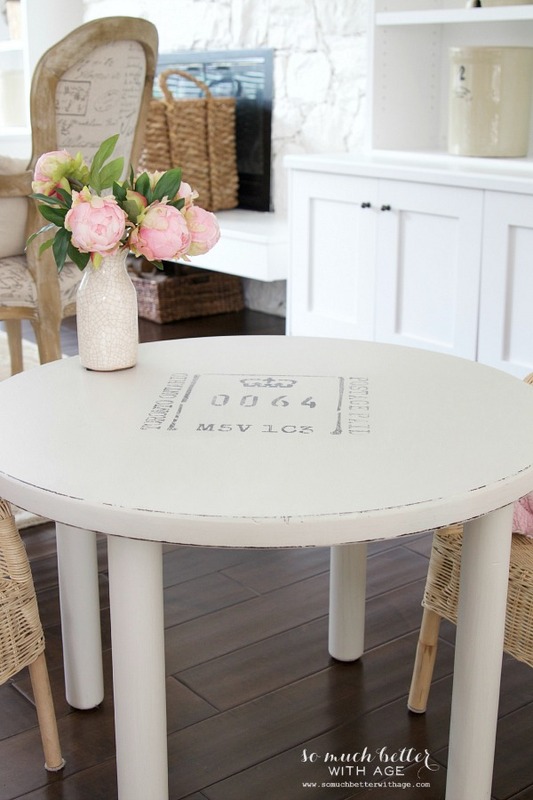 It’s the perfect little table for your little girl. Thanks so much, Lauren! Isn’t the stencil, great? That table is adorable! I actually really love the simplicity in the legs. Oh, your house (sigh). Oh thanks Cami! I was never sure about the legs. 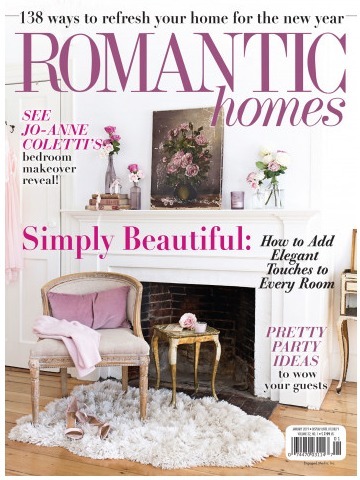 awww…I just love love love it…it looks dreamy. The new look is gorgeous! And honestly, it really is the perfect color. What a cute table! 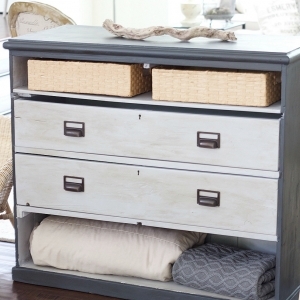 I’ve been on the hunt for something similar and I can’t find anything solid wood! The color is really beautiful and the new look is perfect in your home. I know, it was a great find! What a great little find!! I love how you made it over! This turned out amazingly Jamie- you didn’t have to prime over that shiny surface? Wow- I have to try this paint! No priming, Krista! I love the paint. Just gorgeous, Jamie! Such a sweet little table. I love this little table Jamie! You did a great job making it beautiful again! I can’t wait till my little one is big enough to enjoy a little table of her own. Have a great week! What a cute makeover Jamie! Love that stencil and of course it’s Canadian roots. Awesome job!! Love that doll house. This is just pure perfection Jamie. 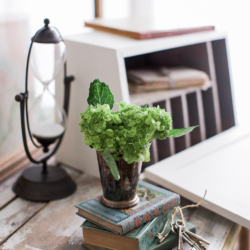 I love it as a tea table…it has such a sweet vintage flair. Thanks for linking up at Found & Foraged. See you tonight at 8PM!